Day-tight compartment means to live in today. Shut the door of the past and the future that makes you feel stress and worry. Here author’s does not say not to think about your future but to make your future. To make your future you have to work today. So why keep bothering yourself from the past and future situation. The best time to do something great is to do it today not tomorrow. A Magic Formula for Solving Worry Situations. The magic formula consists of three steps. It is as simple as to pick up the magic wand and roll over your problem, within a minute you would found your problem disappears. Step one is to ask yourself “What is the worst that can possibly happen?” Now you have a problem in your hand and the worst scenario that might happen. After carry out the first step, accept what worst could happen. If you do this, you will able to free yourself from the range of the worry. This aid you to think clearly. Now take small actions so that you can remove the worst scenario. What Worry May Do to You? Worry a small word consists of five characters but it has the ability to cause you harmful diseases. In reality, the disease caused by the mind. Holding bad emotions (frustration, anxiety, worry, fear, defeat, and despair) in your mind can put your body in trouble. The nervous trouble in a human body is not by the physical deterioration of the nervous but by the emotion. Reminding your mind the effect of the worry can redirect it to the positive side of life. 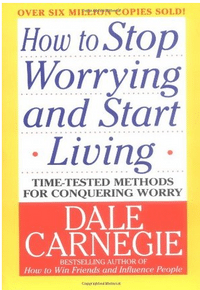 How to Analyse and Solve Worry Problems? Before going to jump into the whirlpool of stress. Ask yourself “What is the problem?” Write your problem on a piece of paper. At this moment, you have a paper on which you wrote your problem. The purpose of doing this is to direct your attention to a single point. After carrying out the first step, do not go to make the last decision instead start accumulating facts and analysis them. When you accumulate lots of information about your problem, just sit down with a calm mind and analysis your fact. This will aid you to find your solution. Keep in mind when you gathering facts. Think you are accumulating information for another folk. As it helps you to gather all the facts; otherwise, it will only accumulate fact that was in your favor. How to Eliminate Fifty percent of Your Business Worries? Likewise, in the previous paragraph. The first and foremost question is to ask “What is the Problem?” If you do not know the problem you certainly drift from one place to another. After determining your problem, the second step is to find the root cause of the problem. Now the third step is to write all the possible solution, Calm your mind and relax so that you can deeply think all the possible solutions. Choose the right solution which is in your favor or the solution that cause you less harm. How to Crowd Worry out of Your Mind? Are you worried? If yes, then you can see, there are tons of things going in a background of your head. All this thought, is not only making your head hurt but also deteriorate your health. Now at this moment, look around you. Chances are, you are alone or you are not doing any activities that force you to think. In short, your mind will only cause worries when you have leisure hour. The mind does not have the ability to do two tasks simultaneously. A Law That Will Outlaw Many of Your Worries. We live our life with anxiety, stress and worry over the small situation that does not even matter. The reason for stress is, our mind produces some kind of image that causes anxiety. To deal with the faulty imagination. You can use the law of average. It states the possibility of occurring the event. An acceptance of every loss in a life is a first step to leave the fence of worries. It is always your choice to accept inevitable and adjust yourself; otherwise, you would end up with a nervous breakdown. No matter what happened to you but if you resist the shock instead of absorbing it. You are making your life miserable. Acceptance is the stepping stone to overcome the consequence of misfortune. We all know circumstances do not have the power to control our self and makes us feel either blissful or gloomy. It is a choice how you see the circumstances and react on it. Put a Stop-Loss Order on Your Worries. Making a stop-loss point in your life protect you from the worst scenario. In other words, setting a limit to prevent you from the worst case scenario. Stop loss method can be used in either worry or in finance. Do not Try to Saw Sawdust? Everyone commits mistakes in his life. The solution to overcome from mistakes and to lead your life peacefully is to deal with your past mistake and make yourself relax. It helps you to widen your attention area. Second step is to calmly analysis you mistake and take a lesson from it. The third step is to make yourself so busy with constructive something amazing that you did have time for worries. Eight Words that Can Transform Your Life. In short, to become positive. You must adopt a positive mindset. It is the one and only way to stay positive and it assists you to keep away from the ground of misery, worries anxiety. The High, Cost of Getting Even. You will definitely make a misery of yourself. If you trying to defeat others. Taking revenge from other people not only makes you feel gloomy but it puts other to the top of their life. If someone cheats on you or defeat you just stay away from them. It is the only best thing you can do to stay positive. Develop a habit of counting your blessing each morning. The habit aid you to look the best side of every event happened in your life. No matter, if you are full of anxiety or something worst had been happened to you. The habit of counting your blessing stops you in going toward the negative direction of life. Find Yourself and Be Yourself: Remember There Is No One Else on Earth Like You. The Reason for feeling unhappy and unacceptable in any group is because we were trying to become like somebody else’s. Folk trying to fit themselves in the pattern of others. This is the cause of unhappiness. You have forgotten. You are the only one in this world. There is no one like you. You should not be fear from failure. Failure is natural. Instead of, behaving like you are depressed and making your life miserable, be grateful for everything you have. Even in the worst scenario, if you look around you will find many things that you should be grateful for. Failure is not something that you cannot do anything about it. A perfect plan and a series of steps assist you to come out from failure. You must always do something to achieve our goal for two reasons. First, you may succeed. Second, even if, you did not succeed, but the attempt you made aid you to look forward instead of backward. The mere attempt helps you to replace your negative thought from positive thought. How to Cure Melancholy in Fourteen Days? Helping others not only help you to make better connections. It also helps you to stay away from a negative side of life. You can remove your worries with fourteen days; just try to think how you can assist others. How a habit of helping other work? The habit of helping other work as it helps doer to step out from his mental thought. Then, thinking something in present situation, how he helps other. Thinking of others will stop you from worry and it also aids you to make good friends. How My Mother and Father Conquered Worry? Names of great people prayed once a day: Connie Mack, Eddie Rickenbacker, Edward R Stettinius, J. Pierpont Morgan, Eisenhower, General Mark Clark. Now you may wonder how and why prayer works. Prayer aid us to whisper our problem to God in exact words (that cause suffering). Prayer gives a sense of sharing our burden to God. Sometimes our worries are so intimate that we cannot share with anyone. Prayer aid to remove our worries from our heart and helps to state our problem to God. Prayer forces ourselves to take actions. You hardly saw anyone who prays but did not take actions. How to Add One Hour a Day to Your Waking Life? You can increase your working hour just by adding small naps in your day. In short, wasting your energy throughout the day will cause you suffering in long term. Even, fatigue can also cause worry. What Makes You Tired-and What You Can Do About It? In a study, scientist found, the brain is tireless. Then, the question arises “What makes us feel tired?” We feel tired in work is because of emotions factor. Such feelings deteriorate our health rapidly than physical work. The feeling of unappreciated, anxiety, tedious, and hurry can cause a negative impact on our health and mind. Impact of such feeling is not limited to our body but also cause some mental diseases such as nervous tension. Like any other habit. You can alter the habit of tension. You can learn how to relax. Once you built the habit of relaxing yourself. You would protect the mind from draining vital power and can use the power in a constructive way. You can develop the habit of relaxing anywhere but do not force yourself to be relaxed. Relaxation is a natural process. You cannot relax by thinking something else’s. How the Housewife Can Avoid Fatigue-and Keep Looking Young? The best way to overcome from your inner anxiety is to find someone that helps you to pour out the worries thoughts. It does not means go around and making a pest of yourself by complaining to anyone. Find someone who you can trust and remove the burden from your heart. How to Banish the Boredom That Produces Fatigue, Worry, and Resentment? Developing an enthusiasm in your work. It prevents you from fatigue. The cause of fatigue is not by work but is causes of worry, frustration, and resentment.